The 2031 Cage for Sony a7 II Series Cameras from SmallRig cradles your battery grip-equipped a7 II series mirrorless camera. 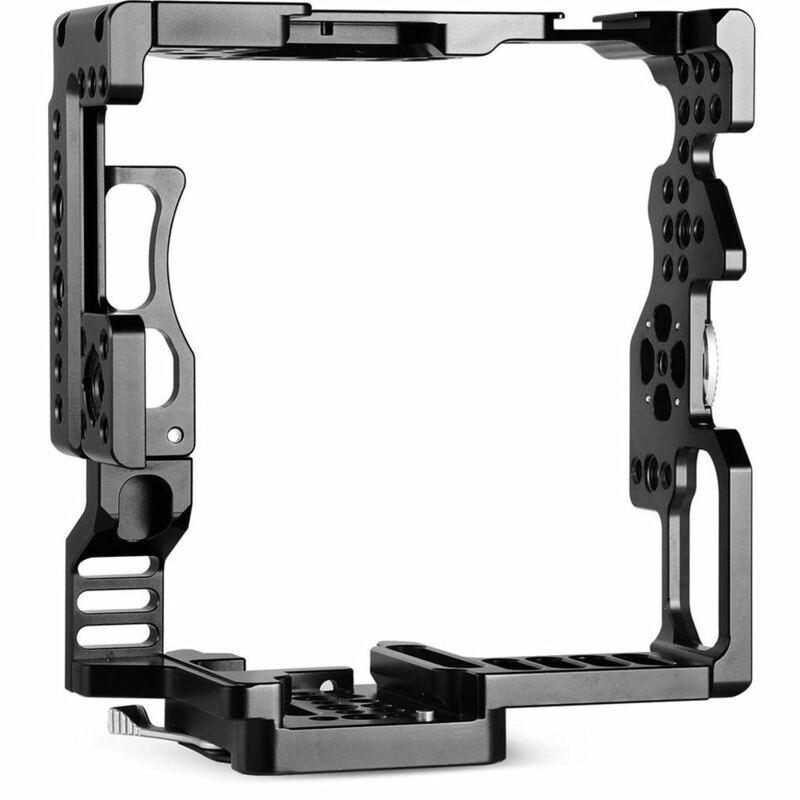 This formfitting cage is designed to protect and add accessories to the camera while maintaining access to its controls. The cage is compatible with Sony VGC2EM and Vello BG-S battery grips and includes an Arca-Swiss style plate for each type. One cold shoe, a NATO rail, an ARRI-style anti-twist accessory mount, and multiple 1/4"-20 and 3/8"-16 accessory threads are built into this handy cage. The 2031 Cage also includes an ARRI-style rosette for attaching an optional handgrip. Does this fit the A7r ii with battery grip? Just as long as you are using either the Sony VGC2EM or Vello BG-S battery grips with the A7RII it will work. This cage is for the A7 II line up of cameras, which includes the A7RII and A7SII. Sony A7S with battery grip compatible?Just wondering...Thank you. We're afraid not. This is compatible with the A7 II series of cameras when used with either the Sony VGC2EM or Vello BG-S battery grip.